Have you considered orthodontic or teeth straightening treatment but have been put off by wearing braces or aligners every day for up to 3 years? Now there is an answer for those wanting a quick fix for their crooked smile – the revolutionary 6-Month Smiles treatment. 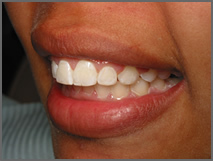 We are one of a handful of clinics in the UK to offer this treatment and the only 6 Month Smiles clinic in Leeds. Dr Sundeep Gakhal has been mentored personally by the pioneer of this treatment Dr Ryan Swain from the United States. 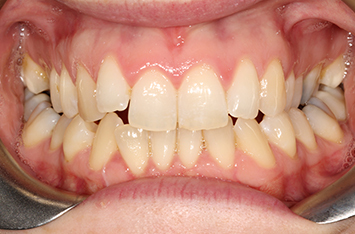 This patient requested her teeth to be straightened for her wedding way. 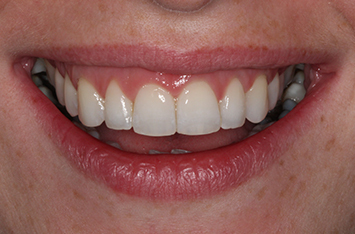 In just 7 months we managed to straighten and also whiten her teeth using our six month braces method. On her wedding day she just couldn't help but show off her new straight, white smile!! 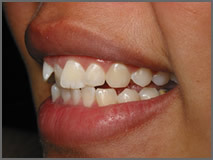 During your first visit you will be fully assessed and we will take some photographs, X-rays and examine your smile. We will also give you an indication as to if the 6 Month Smiles is suitable for you and the likely treatment time and costs involved. 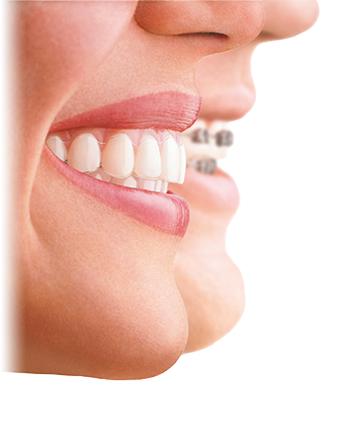 Following this you will be fitted with the special 6 Month Smiles Braces which are small white brackets and special wires that come directly from the 6 Month Smiles laboratory in the United States. After your first fitting you will visit us every 4-5 weeks for short 10-15 minute appointments for regular adjustments of your braces until the end of your treatment. If you would like to book a free consultation for Six Month Smiles in Leeds give our friendly team a call.